What Can Be The Possible Causes For Your Roku Device Not Appearing On Mobile App? Home → Setup → What Can Be The Possible Causes For Your Roku Device Not Appearing On Mobile App? In the recent days, we have got complaints from a large number of Roku app users in which they have mentioned that they are not being able to see the Roku device in the Roku app device list. Due to this reason, they are not being able to stream the content from Roku app properly. For your information, it is significant to mention here that the Roku app is developed to control the playback options through smartphone itself. 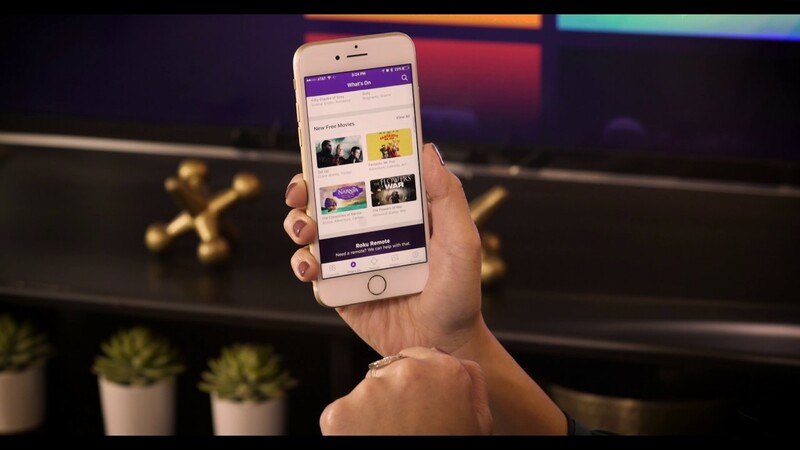 You can make your smartphone a remote for your Roku device by playing, pausing or forwarding the currently playing content. If you find that your Roku device is not appearing under ‘Discover’ list on your Roku app, then it means there is some problem with the app or with the Roku device. You need to diagnose the issue first, then apply the fixing steps accordingly. What do you need to examine first? Press the Home button and click on ‘Settings’. From ‘Settings’, go to ‘Advanced settings’. Go to ‘External Control’ and here you will find ‘Network Access’. What else can prevent Roku device from appearing under ‘Discovered devices’ list on the Roku app? Check whether the same network has been used by both devices or not. If your Roku is connected to public IP, then you will find a problem with the connection. To fix this, you first check the connection by getting into Roku settings. Here, you will find an option for Roku IP. Check the IP and match with the secondary device. If you find it different, then change the IP manually and connect to the home network. In case of any problem, you can contact ISP. If you are using any VPN software on your mobile, then you must disable or close it for a while. Sometimes, this VPN software keeps on blocking the devices due to a security issue. If you are using VPN for changing the physical location of your device, then disconnect it for a while and check if it solves the purpose or not. The AP on your network must be disabled. If enabled, then it will keep on blocking the device from being getting displayed under discovery screen. To enable or disable AP, you can follow the instructions provided on the guided manual of Router. If after implementing the above-mentioned steps, you are still facing the same problem, then we recommend you to follow the below-mentioned steps or contact Roku support for further information. Connect your Roku device manually by entering the IP address in the given field. You can enter the IP address with the help of Roku remote. The IP address must be entered carefully and patiently. Restart Roku: To restart Roku, press the restart button from the back of the device or directly disconnect it from the power source. Connect it back to the supply after some minutes. Restart mobile app: To restart the mobile app, you need to force close it. This can be done by pressing the recent button from the Android device. Locate the Roku app and swipe left or right to force close it. Now, launch the app again from the home screen icons.